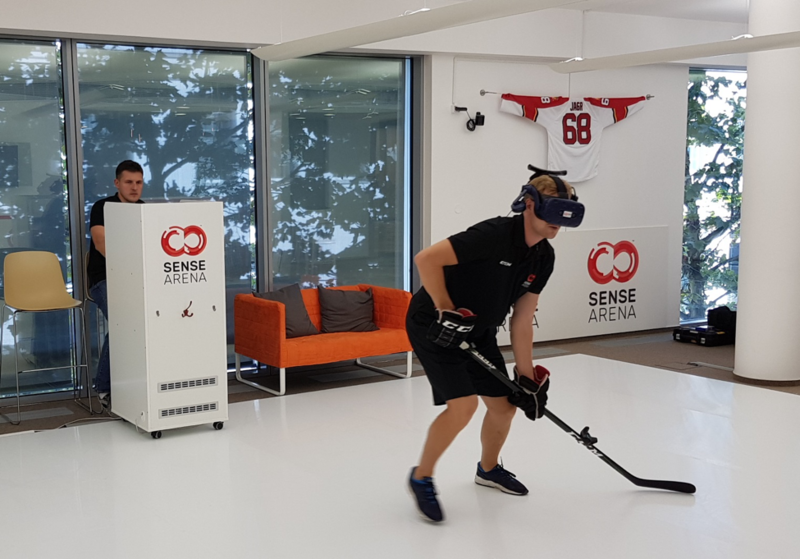 We sat down with Bob Tetiva, founder and CEO of Sense Arena, a Czech startup that seeks to bring the ice rink to hockey players’ homes, gyms, and training centers. Catch their virtual-reality-based training platform mid-October 2018. Where did the idea of using VR for athletic training come from? Well, for starters, my son plays ice hockey and I’m an amateur coach. (I’m just your typical hockey dad!) But one day, I was thinking about the length of your average training session, which is about 60 minutes. With 20 players on the ice, that means, statistically, each player is only in action for about 10 minutes. Then, the average player only handles the puck for about two! That’s no way to learn how to play. That’s when—with the help of my son—it hit me. What if we made hockey training virtual? The experience could focus on hard-to-learn, hard-to-train-for skills and drills while making it fun for the players. What can you tell us about the training and skills players will focus on in this experience? 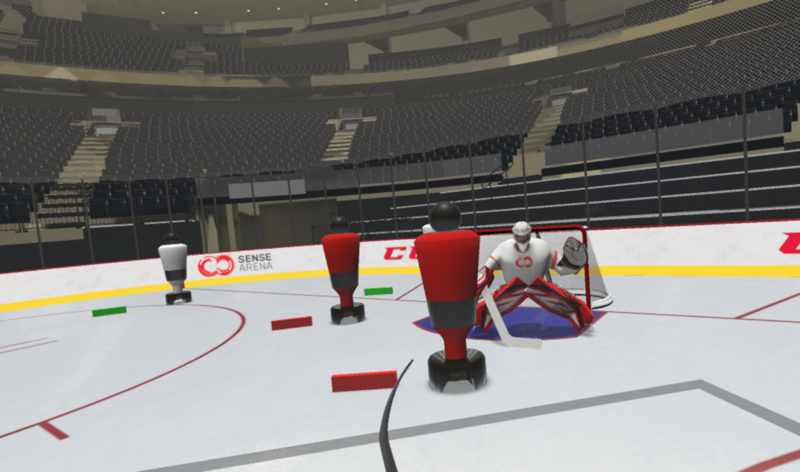 The player holds a standard hockey stick connected with a VIVE Tracker. They then see the 3D model of the stick in VR and perform all sorts of drills, just as they would on the ice. The player then gets to focus on agility, scoring, teamplay, and develop instincts on their own time. One of the most unbeatable advantages, when compared to being on the ice, is the ability to setup challenging conditions and situations that you can’t always replicate in real life. It’s the perfect tool for coaches who have been there. What equipment is needed to set up the Sense Arena training? It’s your standard hardware setup for the VIVE Pro, plus our special hockey stick with an attached VIVE Tracker and Sense Arena haptic feedback technology. A real breakthrough for us was the arrival of the VIVE Wireless Adapter. Our athletes perform workouts typically in a room that is 25 x 25 feet, skating sometimes on synthetic ice. They run all around the room, sweating it up like they would in a gym, all without a tether to hold them back. What can you tell about player feedback or any results you’ve seen? After only three months of Sense Arena use at Charles University in Prague, we found a 10-15% improvement in cognitive and physical abilities specific to hockey. Currently, there are five installations of Sense Arena in the U.S. and Europe. However, we expect to see more in the future. We received some good feedback at CES (The International Consumer Electronics Show) in January, albeit from a sport journalist and an ex-player: “This is the first useful application for VR I’ve seen so far.” Talk about high praise. To find out more about Sense Arena, visit https://www.sensearena.com.